Photo by Andrea Juarez The ultimate soul food dessert. Like many of you, my family ate pumpkin pie on Thanksgiving. But I never dug it. Pumpkin pie was typically bland and one dimensional, so I usually just skipped dessert and, for years, longed for that sumptuous finale befitting of a feast. Then in my 20s, it happened. I began dating my now-husband and had Thanksgiving with his family. I delighted in an entirely different holiday spread. Yes, there was turkey but it was everything else that made that particular meal so memorable — it was the greens, black-eyed peas, cornbread dressing, mac and cheese and, yes, the consummate soul food dessert: sweet potato pie. 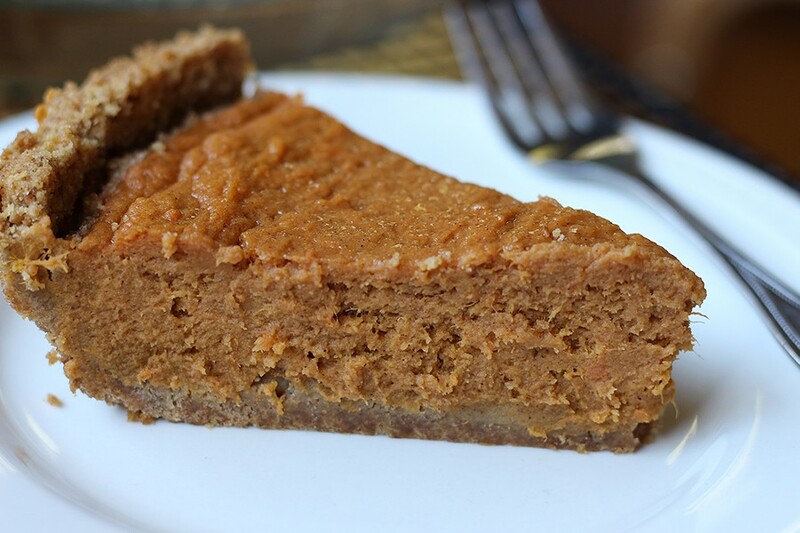 The bold nutmeg, warm cinnamon and sweet potatoes won me over instantly. Since then, I've been a sweet potato pie gal. And, I'm not alone. 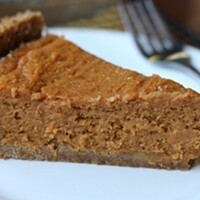 Over the last two decades, I've converted many a pumpkin pie person to the SPP camp. 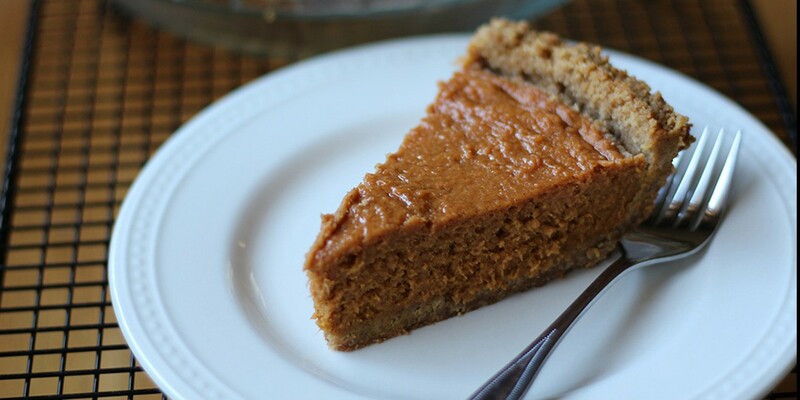 Food history nerds can learn more about sweet potato pie in an excellent read by my friend Adrian Miller, soul food scholar and 2014 James Beard book award winner: "How Sweet Potato Pie Became African Americans' Thanksgiving Dessert." The Washington Post article delves into the pumpkin pie vs. sweet potato pie divide, as well as the journey the sweet tuber took from its origins in Peru, around the world and then to the Southern U.S.
Hopefully your curiosity is piqued and you want to give this sweet custard a try. The recipe below is mine, one tweaked over many years after plenty of consultation with my in-laws and pie sampling at soul food and Southern mom-and-pop restaurants. 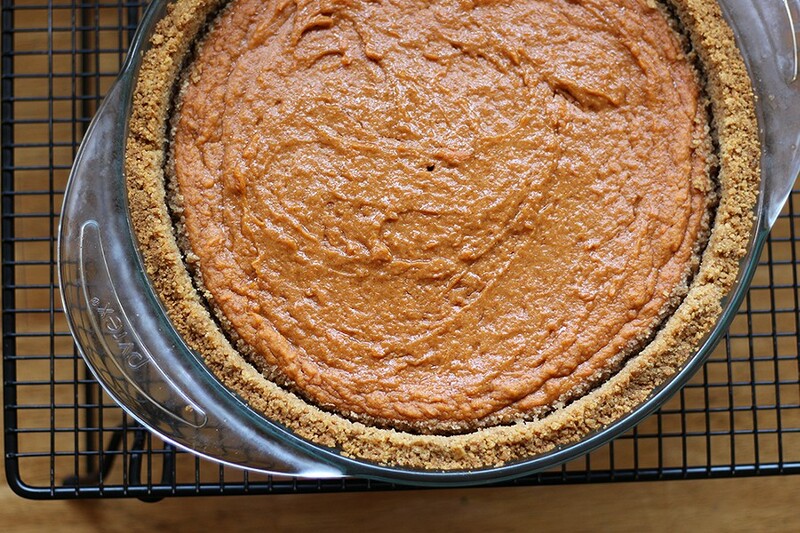 Since most sweet potato pie recipes have the same basic ingredients — butter, sugar, milk, eggs, sweet potatoes and spices — it's the slight variations that make one pie good and another so divine you'll be loosening your belt and asking for seconds. This recipe makes two pies and you'll be glad you didn't just make one. I typically take one to share at holiday festivities and reserve the second for home, where I sliver a piece for breakfast, a snack or just because. Make note: Be sure to use garnet yams for this recipe. If you are a little confused, know that there is some misidentification and mislabeling of sweet potatoes. Garnet and jewel yams are in fact sweet potatoes. If you want to learn more about this particular point, read Miller's award-winning book, Soul Food: The Surprising Story of an American Cuisine, One Plate at a Time. 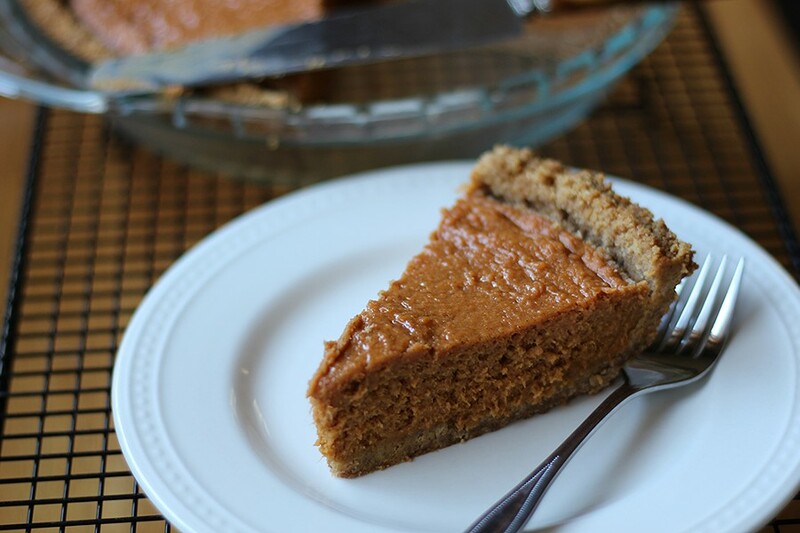 Feel free to swap the graham cracker crust with your favorite homemade or store-bought pie crust. If you have leftover filling, you can bake it in ramekins for your gluten-free friends. Makes 2 standard pies. Heat oven to 350 F. First make your graham cracker crust. Crush the graham crackers in a food processor or, using a rolling pin, smash them in 2 gallon-size resealable plastic bags. In a large bowl, thoroughly mix the crushed graham crackers with the sugar and melted butter. Divide the crumbly mixture into 2 9-inch pie dishes, pressing it evenly on the bottoms and sides. Bake for 7 minutes. Remove the crust from the oven and let it cool. Wash the sweet potatoes and leave the skin on. Cut them into large cylindrical chunks (about 3 inches long). Over medium heat, boil the sweet potatoes in a large pot of water for 30 to 35 minutes until they are cooked through. (They are done when you can easily pierce the sweet potatoes at their thickest point with a fork; they will be tender with no resistance.) Drain. When the potatoes are warm but not scorching, use your fingers or a fork to remove the skins. In a large bowl, using a potato masher, mash the sweet potatoes, butter and brown sugar together until there are no visible chunks of sweet potato. Then add the vanilla, cinnamon, nutmeg, lemon juice and salt. (For the next additions, continue to use a potato masher for a denser pie or use a hand mixer on medium speed for a fluffier version.) Slowly incorporate the evaporated milk and the eggs. Mix until the filling is smooth. Divide the mixture into the 2 pie crusts. (If you're not using the graham cracker crusts, follow the instructions for your pie crust; some require pre-baking.) Cover the exposed crust with a pie crust protector (or make your own using a piece of foil with the center cut out) and bake for 60 minutes, removing the protector after the first 30 minutes. The pie is done when a toothpick inserted in the center comes out clean, the filling has set and the crust is golden. Serve warm, room temperature or cold. If you are making pies a few days in advance, cool them completely and cover with foil before refrigerating. Andrea Juarez is an award-winning freelance writer, a hobbyist food anthropologist, adjunct professor and hiker.